DESK LIBRARY – The Desk Library is a group of media assets (photos & videos) uploaded by the Desk Manager and available by the users of the desk as read-only. It’s used for storing photos and videos that will be used frequently such as intro & outros videos, logos etc…The desk manager is allowed to modify the description metadata, upload or delete items. SHARED BIN – The SHARED Bin is a group of media assets (photos & videos) uploaded by any user and immediately shared with all the other users of the same desk. All users of the desk can upload, delete or modify the metadata description (title, source, credit etc..). MY UPLOADS. My Uploads displays all the images and videos that you have uploaded for a given Desks. It’s only a filter of the Shared Bin where a user can see only the media that he has uploaded. You upload all photos and video shots that you will use in a new story. The SHARED BIN allows to drag & drop from your computer a group of images & video shots. Several files can be uploaded simultaneously into the BIGVU server. 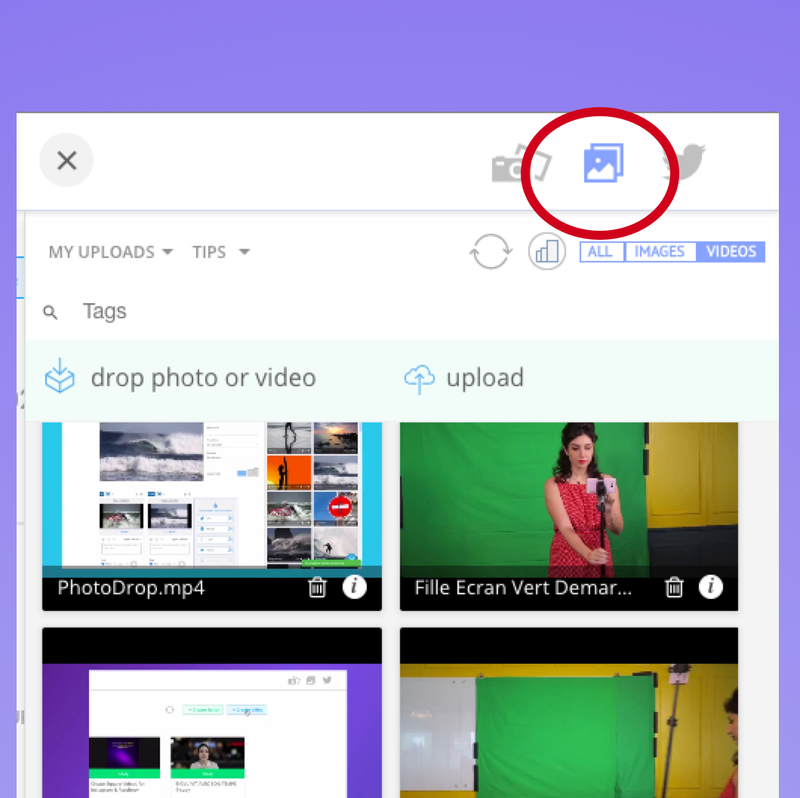 Your colleague uploads photos & videos into the Shared Bin from her/his computer and you can use them directly in your computer by pressing on the refresh icon. any user can upload photos and videos using the BIGVU Reporter app (iOS/ soon also on Android). The videos appeared automatically in the Shared Bin of the desk and are immediately available for use in any video composition.